Legion pays Fairy Tail a special visit! 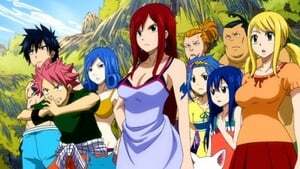 Fairy Tail learns of Sabertooth, the number one guild in Fiore! And what lies beneath the original Fairy Tail base of operations?! Episode 2 - We Aim For The Top! 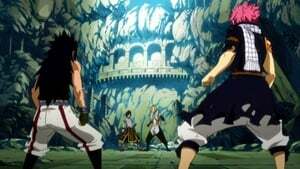 Natsu meets up with Max and they decide to have a showdown. 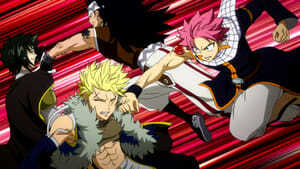 Being pushed back, Natsu has to enter his Lightning Flame Dragon Mode to defeat Max. Surprised at the difference between the power 7 years ago and now, Natsu and others visit Porlyusica to ask her for a medicine. 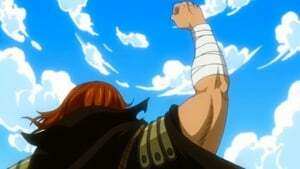 At the guild, Makarov attempts to announce a new guild master but the things are quickly turned around when everyone finds out that Gildarts decided to leave for another journey. Later, with teary eyes Wendy tells everyone that Porlyusica's smell and voice reminds her of Grandeeney. 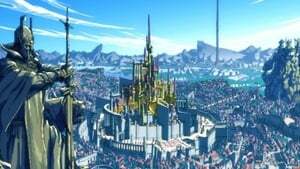 Back at the guild, Makarov decides that Fairy Tail will join an exciting event in order for them to regain the top spot - the Grand Magic Games. Fairy Tail's best is back, but to rock the Grand Magic Games, they've got to make up seven years worth of time in only 3 months! It's time for some seriously hard training! But before that, a little party in the Spirit World can't hurt, right? 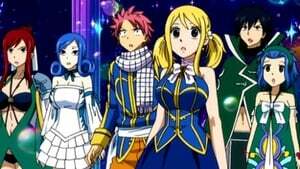 Natsu, Lucy, Gray, Erza, and Wendy are chosen to represent their guild in the Grand Magic Games, which are to be held in Fiore's capital Crocus. 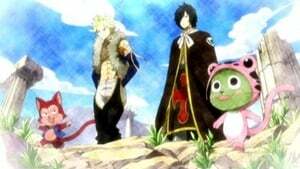 As they tour the city, Natsu and his friends meet Sting and Rogue, who mock Natsu for not being able to kill Acnologia and boast killing the dragons who raised them. 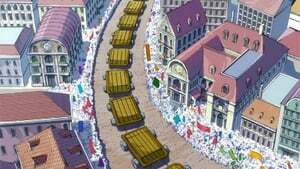 At midnight that night, Fairy Tail and the other participating guilds are put through a preliminary event—a race through a massive floating labyrinth—designed to narrow the guilds down to eight teams. 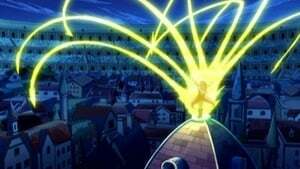 In the elimination round, Natsu and the others have to make their way through the Sky Labyrinth, a giant mind-bending maze full of rotating walls and vicious rivals! 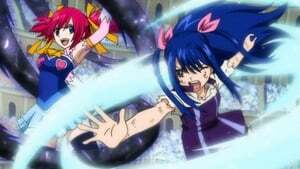 In the first battle of the first day of the Magic Games, Lucy is pitted against Raven Tail's Flare, whose long locks are deadly. The battle portions of the second day continue with Kurohebi defeating Toby Horhorta and then showing his crueller side by ripping Toby's prized sock. Whilst everyone is watching the Games, malicious activities seem to be happening in the background, with Wendy, Porlyusica and Carla almost being kidnapped! In the midst of this chaos, an error by Arcadios sees Elfman fighting Bacchus. Instead of duking it out for their match, former pinup models Mirajane and Jenny go head to head in a crowd-pleasing swimsuit pageant. 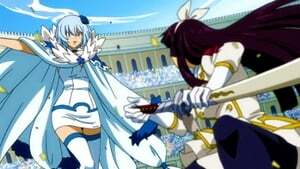 The last battle of the second day pits Kagura, Mermaid Heel's strongest wizard against Yukino, a young Celestial Spirit Wizard on Sabertooth's side. 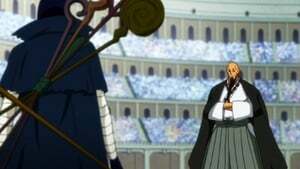 Confronted by the Sabertooth Guild Master himself, Jiemma, Natsu decides to fight him all-out in their lodgings. Despite his attacks, he is unable to deal even a scratch on him. 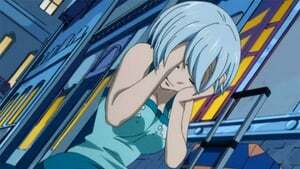 Eventually, their "fight" is interrupted with the arrival of Minerva and her hostage, Happy, forcing Natsu to leave reluctantly. The following day, the Grand Magic Games resume with a new event: Pandemonium. However, the beasts within the domain of this event appear to be quite challenging for the participants. The third day of the Grand Magic Games proceeds into the battle portions. The first match, Mermaid Heel's Millianna and Quatro Puppy's Semmes, results in an unexpected win. Rufus Lohr easily dominates Eve Tearm in the following match. Then, in the next match between the father-and-son Guilds, an unexpected play from Raven Tail seemingly gives them an incredible advantage against even Laxus Dreyar. 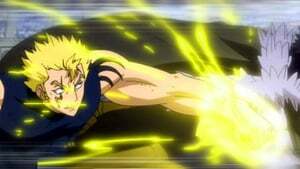 Laxus takes on Raven Tail's elite, but they're after something more than a win! And then there's Wendy vs. 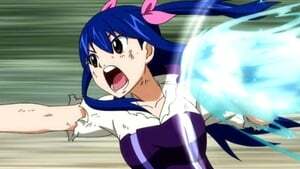 The match between Wendy Marvell and Chelia Blendy continues, with Chelia using her ultimate move. 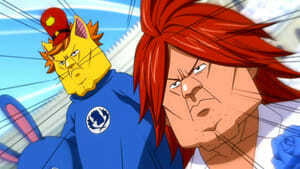 Elsewhere, Jellal watches the match, noting the dark magic. 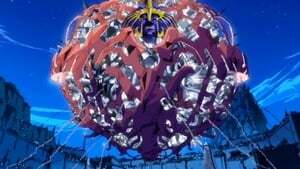 However, as the battle ends, he realizes that the evil aura is coming from someone else. As he tries to chase the mysterious person, he is quickly intercepted by Doranbolt and Lahar. As Fairy Tail happily parties in a bar to celebrate their earlier victories, others all around Crocus contemplate the harsh realities of things they have witnessed on the third day, and those to come. 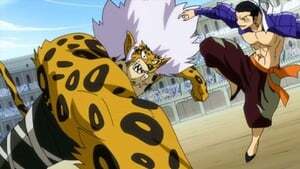 Malice also lurks in Sabertooth, as, in the Naval Battle event the following day, Minerva succeeds in brutally attacking Lucy as a demonstration of her guilds power. Whilst Lucy is in the infirmary due to Minerva's cruel play in the Naval Battle event, Fairy Tail Team A and B are forced to merge to even out the odd number of teams. With tension building between Sabertooth and Fairy Tail, the tag battles begin with Team Blue Pegasus against Team Quatro Puppy, the man in the blue bunny suit finally revealing his identity. The fourth day of the X791 Grand Magic Games continue with the second match of the day, Lamia Scale against Mermaid Heel. 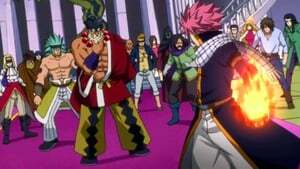 Both sides struggle to win, only to end the battle in a draw, leading to the beginning of the last match between Fairy Tail's and Sabertooth's Dragon Slayers. 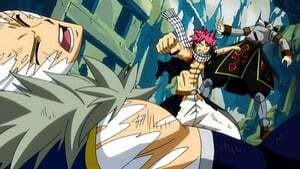 The fourth day's final battle between Sabertooth and Fairy Tail kicks off with Natsu and Gajeel proving themselves as formidable opponents against the Twin Dragons of Sabertooth, but when push comes to shove, Sting and Rogue decide to utilize their trump card and turn the tides of the battle. Episode 152 -  We Aim For The Top! With the Grand Magic Games occurring in three months time, Lucy and her friends go to a seaside resort to begin their training section. On their second day of training, Virgo appears and tells the wizards that the Celestial Spirit World is in danger of destruction. When the wizards arrive, they instead find a surprise party held by the Celestial Spirit King celebrating their return from Tenrou Island after seven years. They spend a day partying with the spirits, only to realize Virgo before they leave that one day in the spirit world equals three months in the human world.